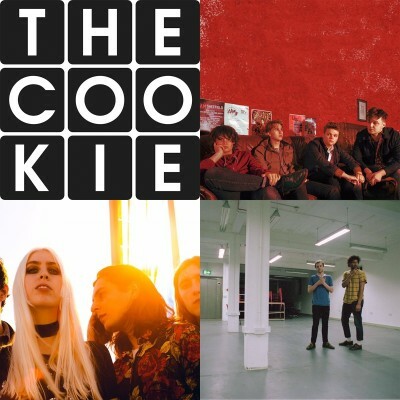 The Cookie is the very heart of Leicester’s music scene. The independent venue with its 180-capacity main room offers guests a chance to see big names and support rising stars in an intimate yet suitably impressive setting. In addition to the many awesome bands and artists playing, The Cookie also plays hosts to hilarious stand-up comics as part of the annual Leicester Comedy Festival. Sheffield band Redfaces have had a very busy year, releasing a string of vital videos for singles ‘Kerosene’, ‘Wise Up’ and ‘Take It Or Leave It’ setting them up nicely for gigs and festival appearances all around the UK for the rest of the year. Redfaces tickets are currently available. INHEAVEN have burst onto the scene in a blaze of blistering riffs and catchy choruses. Produced by Tom Dalgety (PIXIES, The Maccabees) and recorded at the legendary Rockfield Studios, they take their debut album on the road in October. INHEAVEN tickets are currently available. Taking their cues from the boisterous Britpop sound of the 90’s and adding a layer of electronica, Superfood have proved to become an essential part of everyone’s musical diet and must not be missed whilst tearing round the UK this autumn. Superfood tickets are currently available.